We decided that we would do several posts in preparation for the Chinese New Year! So this week will be an international focus on Chinese food with Friday switching to Valentine's Day for two. We hope you enjoy! Today, I'm going to share a few recipes for vegetarian and vegetable-focused Chinese dishes. 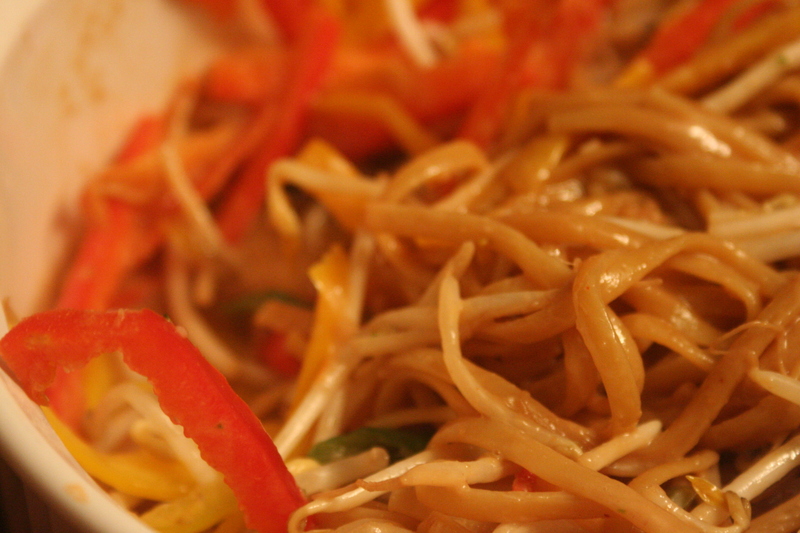 We invited guests over to enjoy our Chinese feast and this Vegetable Lo-Mein was a huge hit! Combine the garlic, ginger, oil, sesame seeds, peanut butter, soy sauce, stock, vinegar, chili oil, sesame oil, black pepper, and cayenne pepper in a bowl. Stir well to fully combine. Cook the linguine as directed until al dente. Drain the pasta in a colander, place it in a large bowl, and while still warm, toss with 3/4 of the sauce. Add the sprouts, red and yellow bell peppers, and scallions; toss well. Serve warm or at room temperature. The remaining sauce may be added, as needed, to moisten the pasta. Bring a large pot of lightly salted water to a boil. Add the broccoli and cook uncovered until just tender, about 3 minutes. Drain and set aside. Meanwhile, whisk the sugar, cornstarch, soy sauce, vinegar, sesame oil, hoisin sauce, ginger, and garlic together in a small saucepan over medium heat until thickened and no longer cloudy, 4 to 6 minutes. 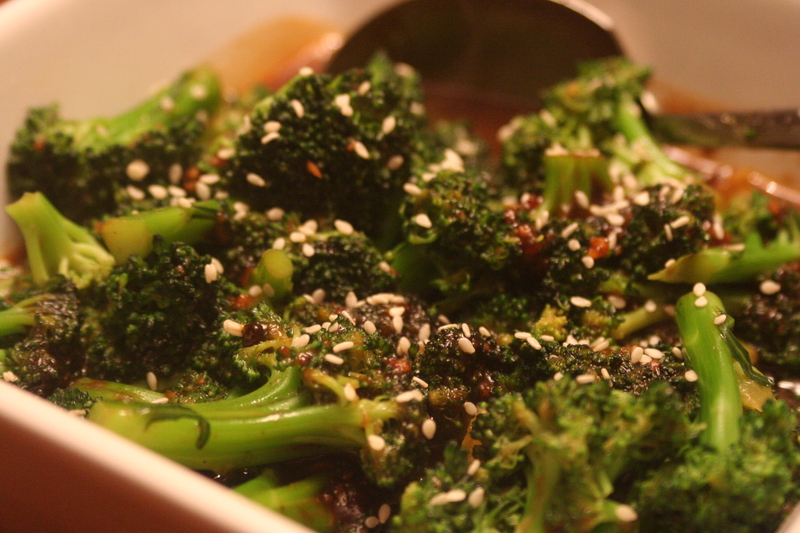 Toss the broccoli in the sauce, pour into serving dish, sprinkle with sesame seeds if desired, and serve. Brown sausage. Add vegetables and garlic and saute until slightly cooked but still crunchy. Add sauce and peanut butter. 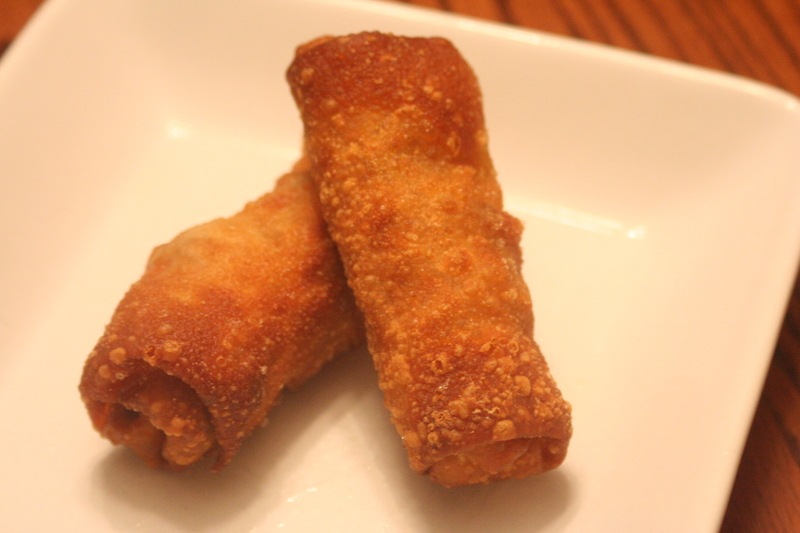 Divide mixture into egg roll wrappers - about 2 Tb./wrapper. To Roll: Place filling lengthwise towards end closest to you. Fold sides in and slowly roll. Seal edge with water. Fry in a deep fryer until golden brown or bake in oven at 400 for about 15 minutes or until golden. Serve with Sweet & Sour and enjoy!